Next load development with Huckleberry is going to be H322 and should happen this week. H335 seemed to me to be more mild shooting with the huckleberry than either the H4198 and RL7. Good shooting. 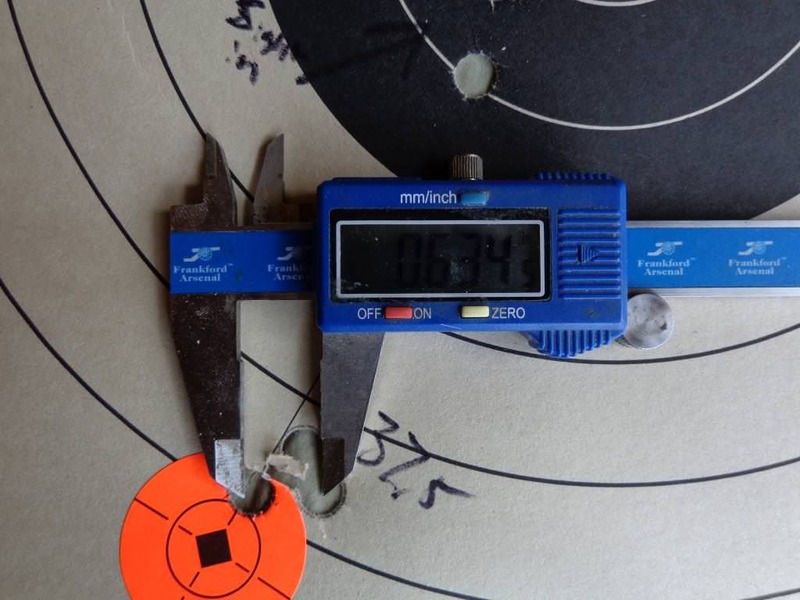 1800 fps is a good velocity for a hard cast hunting bullet. What was the problem with the M-die ? I put a new to me 70's-80's vintage Redfield Widefield 3-9 on my 2001 444 yesterday . I need to try and get it sighted in to suit me with the 433-425GC old bullet that I have the mold for . When i shoot I wanna go with 35 and 36 of RL-7 again . We'll have damage control bear stamps in about 3 weeks so i wanna get this one going with this bullet as well as the Mountain Molds 433-400GC I had cut several years ago loosely based on 405WCF's drawing . Also have a BRP/RD 432-400GC HP I wanna get in the mix ! I suspect I'm gonna run them all with RL-7 just to make life a little easier . See I have this habit of killing with one rifle and then moving to another or in this case using one bullet and moving to another ! 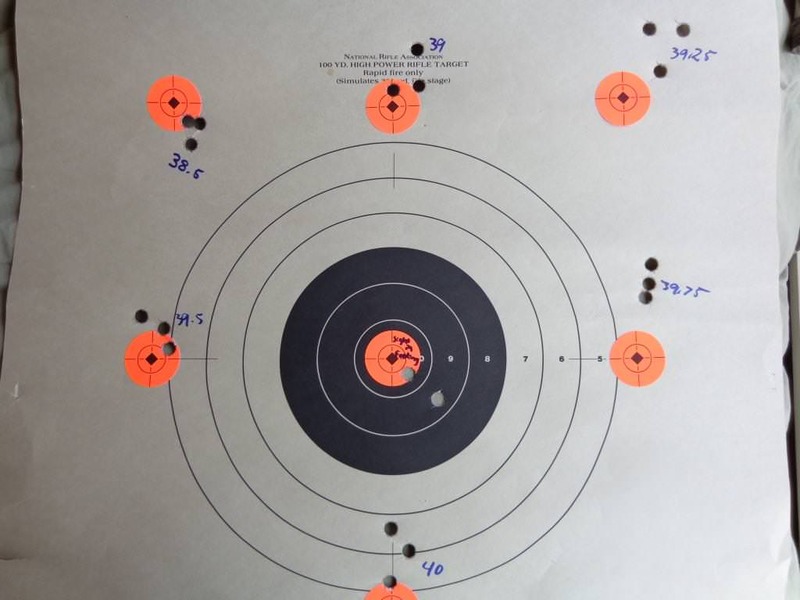 If the results I got before were any indication the bullets mentioned all had about the same POI at 100 yards with the same powder charge evn though there were slight variations in "actual" bullet weight ! Got and LBT 434-400GC as well i wanna try but as of yet I'm not totally satisfied with cycling of that one thru the action . In past years I've carried one rifle with a cast bullet for deer and a different rifle with a cast bullet for bear all 444 of course . This year it's gonna be one gun for both I've gotten tired of having to carry and watch out for two guns while sitting in that tree for 4-5 hours in the summer heat . Loaded some stuff for my circa 2001 Marlin 444 that has the Ballard faster twist barrel ! Some of the Mountain Molds 433-400GC I had cut a few years back , some of the LBT 433-400GC I hed veral cut a couple years ago , some from the BRP/RD 432-400GC HP I had Bruce Brandt cut two years ago and finally some of the "Doc Holiday" 433-425GC from the Mountain Molds mold I got from Mt Sourdough ! All were loaded with 36 grains of RL-7 . Well my plan is to hit the range early monday morning ! Already loaded a bunch of heavies for the circa 2001 Marlin 444 ! 30 of the Mt Sourdough 433-425GC with 36 grains of RL-7 . 10 of the Mountain Molds 433-400GC also with 36 of RL-7 . 10 of the BRP/RD 432-400GC HP again with 36 of RL-7 . And finally 10 of the LBT 433-400GC with the same charge of 36 grains RL-7 . After I got done with that I loaded up 25 of the MM/RD 432-325GC with 52 grains of XMR2015 . 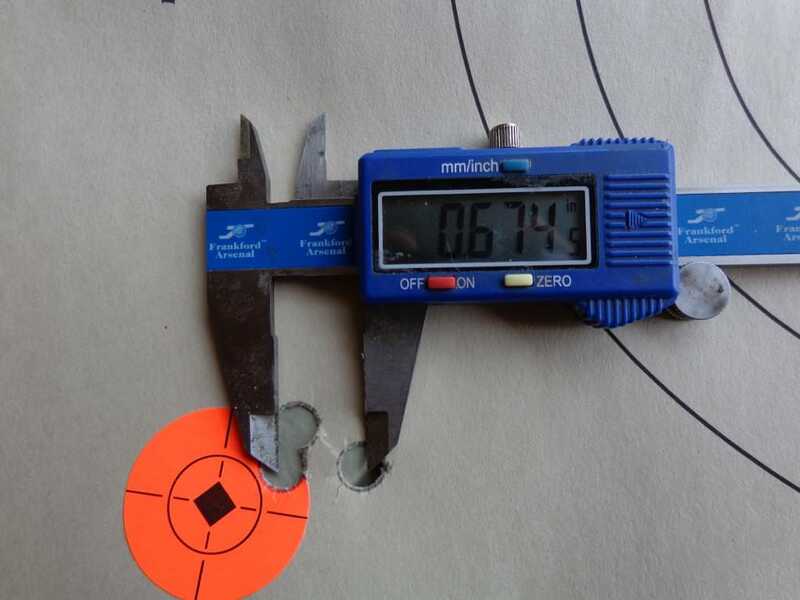 And finally some more 243 WIN using the Speer 105 sptizer with 43.5 grains RL-22 . My plan is to get there slightly before 8AM then shoot those and clean all three guns at the range . My friend in Gordonsville that has the Gunshop has a order coming in with stuff for our shop supposedly at 11AM so i oughtta be finished in plenty time to get over and help him unload then bring or part of the order back to our shop ! 6pt, I look forward to hearing your report. Looks like a full day of shooting right there. H322 has been a pleasant powder so far. 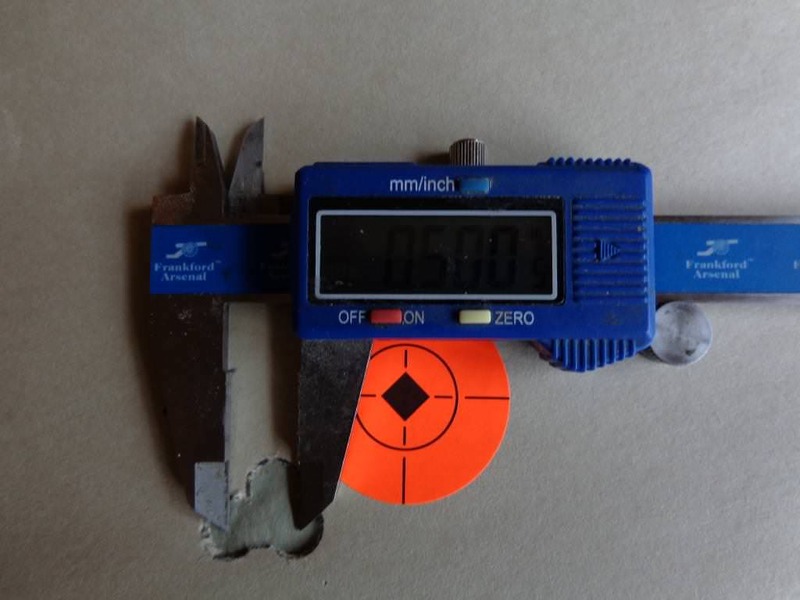 Accuracy potential is definetley evident. Velocities are little lower than expected but I was kinda hoping to find a mid power accurate load and it looks like 35gr of H322 for an average velocity of 1638fps has much potential. Next up is H322 from 38gr to 40gr. I am not sure if H322 is going to get to 1800fps, but I believe it to be a great match with the Huckleberry. mt_sourdough wrote: 6pt, I look forward to hearing your report. Looks like a full day of shooting right there. Hopefully I can be done with this in about an hour ! 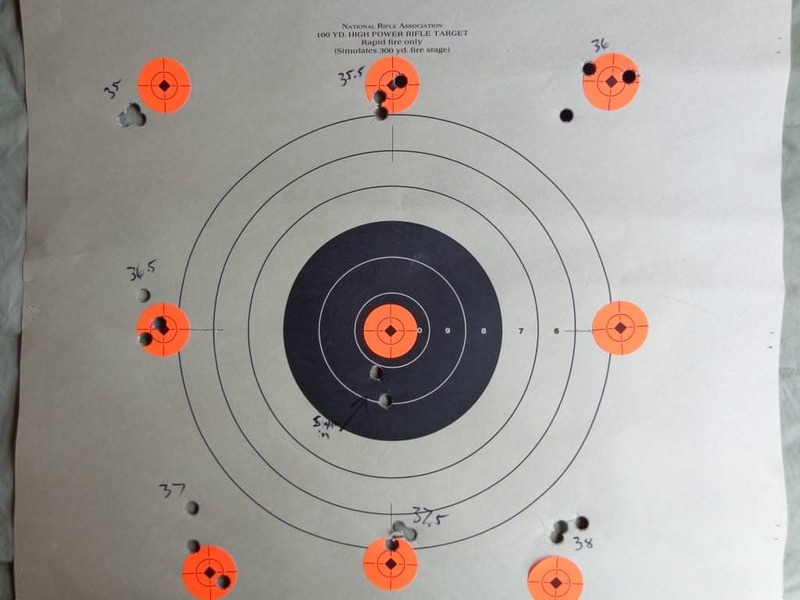 I wanna get the 2001 rifle sighted in to suit me with the 433-425GC and then check POI for the other three . Also I put a newer Weaver K3-1 on top my Retro 444P and I wanna get that one sighted in with the MM/RD 432-325GC . And finally the little 243 had some scope mount change of posisiton so I wanna get that one done as well hopefully ! I'm glad I finally got the LBT 433-400GC so it will cycle and chamber well . Be kinda nice if I can get the four bullets I have loaded blooded or field tested whatever one cares to call it this season ! Got a few plain vanilla molds I still wanna field test as well . I have my refinished 1967 rifle set up with the Lyman 429244 HP at the moment as well . Temps were hot this morning and barrel never would cool down. Temps were in the 90s although there was no wind. I think that 39.75 load would have been really something if it wasn't for the temps. Best group of the day. The first group fired - I.E. coolest barrel temp. I think the 39.75 load might have been better if it weren't for the temp.